New Delhi: The Congress’s women’s wing will file police complaints in all state capitals on Monday against the “malicious campaign” targeting Priyanka Gandhi Vadra following her formal entry into politics, the party unit chief Sushmita Dev said today. The Congress alleged that BJP leaders have made several “derogatory” statements targeting Priyanka Gandhi following her being named Congress AICC general secretary in-charge of Uttar Pradesh (East). Ms Dev, in a video message posted on Twitter, said one of the reasons why few women join politics was that they are not treated well. “I am saddened that Mrs Priyanka Gandhi has also been targeted with such behaviour. Since she has become general secretary, many BJP leaders have made such comments that have saddened me,” the All-India Mahila Congress president said. “I will file an FIR in Delhi against this malicious campaign. I want my state presidents to lodge FIRs in the capitals of their respective states so that we can reach those who are running this dirty campaign,” Ms Dev said. The Congress leader said she expects police officers in the state capitals to file FIRs and act against those behind this campaign. “A derogatory thread on Priyanka Gandhi’s physical appearance is being unleashed on social media. To counter this, Mahila Congress has decided to file an FIR through all states on February 4, 2019,” the Mahila Congress tweeted from its official handle. 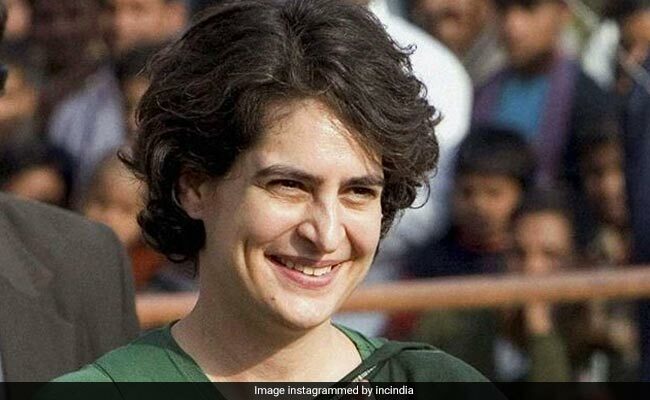 The Mahila Congress statement comes days after senior BJP leader and Bihar Minister Vinod Narain Jha had said Priyanka Gandhi has no other quality except being “very beautiful” and the party should remember that beauty does not garner votes. Senior BJP leader Kailash Vijayvargiya had said the Congress was fielding “chocolatey” faces in Lok Sabha polls as it lacks strong leaders. Later, Mr Vijayvargiya clarified his statement about “chocolaty” faces, saying that it was meant for Bollywood actors but not for any political leader.